CoCoLoc Firm Futon Mattress for bed use. Home / Futon Mattress Choice / CoCoLoc Firm Futon Mattress for bed use. If you’re looking for a firm, supportive, futon mattress manufactured with the best quality futon fillings then add the CoCoLoc to your shopping list. The firm but supportive CoCoLoc Futon Mattress is manufactured from some of the loveliest futon fillings we have come across, making use of a top and bottom layer of pure lambswool with layers of cotton rich felt and two layers of CoCoLoc, a natural filling of coconut fibre bonded with natural latex, in the middle. This provides a firm but supportive futon mattress for use as an everyday bed, a great choice for durability and lasting value. 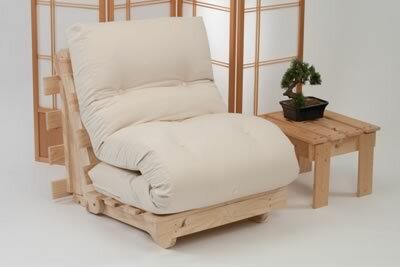 The CoCoLoc Futon Mattress is, of course, designed to be used flat on a bed frame, tatami mat or directly onto a floor and does not bend particularly easily so should not be considered for sofa bed use. 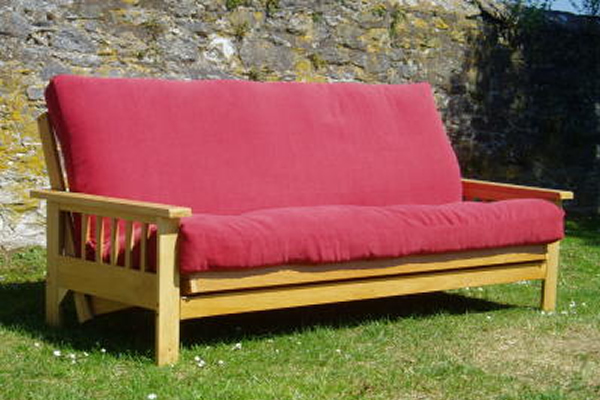 Should you choose to put this lovely futon on a bed frame we would suggest a slatted type frame for breathing and regular turning. The CoCoLoc Futon Mattress is available in two sizes, 137cm / 4ft6ins Double or 150cms / 5ft Kingsize, just select from the menu below. We would recommend that if you are using this mattress as an everyday sleeper you should consider our Morpheus Mattress Protector as an additional purchase. Suitable as an everyday futon bed mattress. 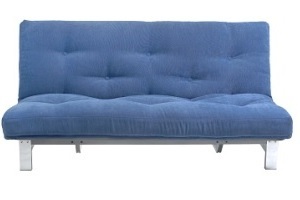 NOT suitable for use of sofa or sofa bed futons as the CoCoLoc must be kept in a flat position. In stock - delivery approx. 7 working days. (Mainland UK £Free). Tri Fold Futon Mattresses for 2 seat futon sofa beds.